TransportiCA: (Continue) #PurchasewithPurpose: Support CalGreen all week with #CyberMondayDeals! (Continue) #PurchasewithPurpose: Support CalGreen all week with #CyberMondayDeals! 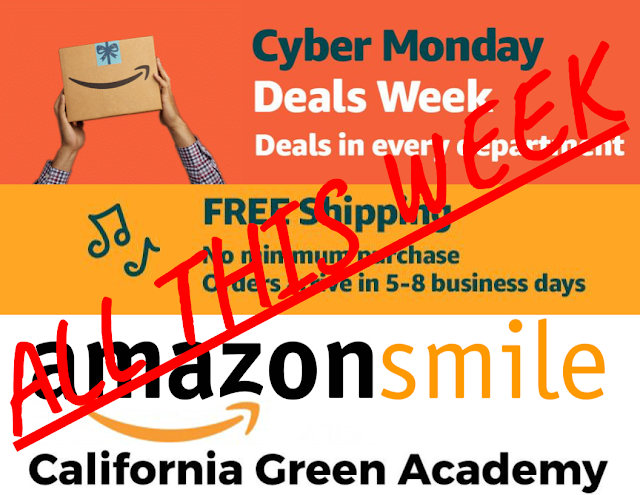 Even after #CyberMonday, #CyberMondayDeals continue all week, and your shopping = #CalGreen donations, with all qualifying #amazonsmile purchases: https://smile.amazon.com/ch/82-0784342. #Purchasewithpurpose, by supporting the California Green Academy, while also fulfilling your holiday's needs.